Founded in 1989, Shanghai Huaming Power Equipment Co., Ltd. is one of the leaders in the world tap changer industry. Its main products are on-load and off-circuit tap changers for transformer,motor drive unit, online oil filter and other accessories. Huaming has grown to a company with 800 staff with 7 subsidiary enterprises, 5 overseas branches, and 2 huge modern manufacture bases. Under its culture of innovation and self-motivation, Huaming has become a competitive player in the global market. Today it is undoubtedly the first brand in China with full tap changer industry chains. The product of three phase 1000 Am OLTC, which is fully developed by Huaming itself is a among the cutting edge design in the world. The OLTC designed for 500kV transformer is the first local product in the high-voltage application and broke the monopoly of foreign companies for over half century. Huaming’s product is widely used in power grids & energy sector, chemical, metallurgical and railway projects, etc. 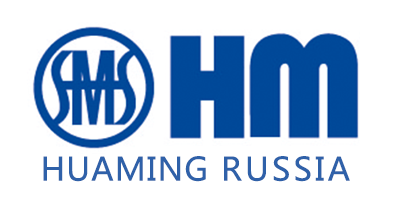 In China, Huaming has more than 60 thousand OLTCs in operation of the power systems; in overseas market, Huaming’s product is exported to over 80 countries in America, Asia, Europe, Africa and Oceania, from -50 degrees in Hehe, to high altitude area of Tiebet, from wind generation farm to offshore oil platform in north sea. Huaming’s product is now a most important supplier and choice of Alstom Grid, ABB, GE, etc. by its quality and reliability. Holding its culture of “Integrity & ethics to treat people”, Huaming leads its staff to build a creditable company image by the attitude in quality. Meanwhile, the company created a harmonious working and living environment for its employee. Huaming’s attentions to people can be seen from the factory environment, staff canteen, social securities, joint growth with the employee, all is intended to build cozy home in the company. In over last twenty years, Huaming has been awarded with Shanghai “brand company”, “Harmonious Labor Relationship Company”, “Patent Model Unit”, “ Science Small Giant”, “High-Tech Company”, “Technical Innovation Company”, “Creditable Business” etc, its product is also nominated as Shanghai Famous brand. Today Huaming is among the tops100 private businesses in Shanghai.